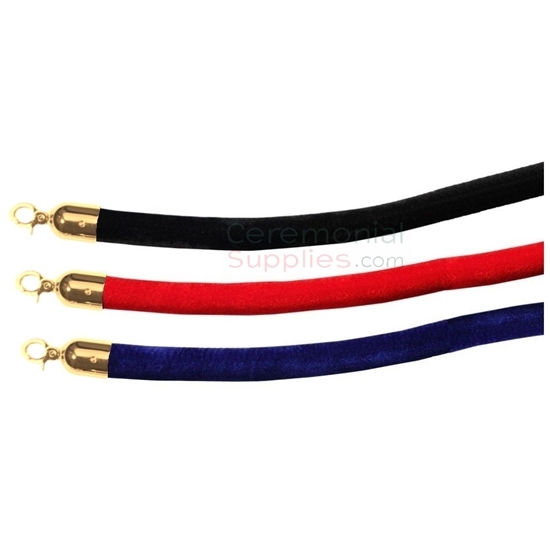 This Luxury Velvet Stanchion Rope features Brass Hook ends. Rope measures 6.5 feet in length and is 1.7 inches thick. Available in the color Burgundy. Searching for some Stanchion Ropes for your upcoming event? Look no further. This Velvet Stanchion Rope offers all the luxury you need for your grand function while also serving its purpose of managing large crowds. This stanchion rope features velvety smooth texture accented with brass hook ends. Queue stands have a way of doing the job they were made for effectively and without taking away from the main event. In fact, with the right color and texture, Stanchion ropes paired with some matching Stanchion poles can enhance the appeal of the function. Pair this Velvet Rope with our Brass Stanchion Posts to make the most out of your celebration.